When it comes to making a wireless networking pitch, the router is only one part of the equation. Resellers have plenty of other things to talk about when it comes to talking to customers about Wi-Fi. One of the most obvious things is to start by putting the pitch into some sort of context. The reason most customers want to adopt wireless networking technology is because of the demands of users, and in some verticals, such as retail and hospitality, as a result of customer demands. When you talk to people in the industry about wireless, one of the words that comes up is “ubiquitous”, as the technology is now seen as essential by some many people. Even the big networking players are predicting that wireless will be the primary network for most environments in the next couple of years, and that all combines to produce opportunities for the channel. If wireless is now seen as something we all take for granted, then the focus has to shift beyond the kit to the experience. Steven Armstrong, channel manager at Xirrus Wireless, advises resellers to concentrate on how the customer enjoys the technology. "Each of us carries two, three, or even four Wi-Fi-enabled devices. The heavy load of BYOD [bring your own device] and application volume is crushing conventional wireless networks, which is why we developed an architecture to deliver wired-like performance over Wi-Fi. Resellers must understand that application and device adoption is changing the rationale and choices IT managers make in implementing wireless,” he says. “Wireless isn’t a ‘nice-to-have’ anymore. If done right, it’s a strategic IT infrastructure advantage that fuels an organisation. BYOD is about performance, and users have come to expect gigabit speeds from their devices and applications. As a result, wireless needs to be designed to deliver a wired-like user experience,” says Armstrong. “Resellers should look at the five key areas of Wi-Fi optimisation – users, applications, devices, spectrum and capacity – and ensure that they are able to consult users on and deliver an infrastructure that ensures flexibility, scalability and is futureproof,” he adds. 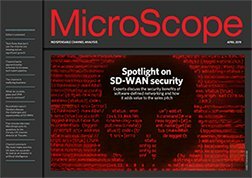 “Application delivery over Wi-Fi has always been an area of concern and many mission-critical applications still tend to rely on wires. Granular policy control and Layer 7 analysis at the edge of the network is the only way to truly deliver a consistent user experience for mission-critical applications. Resellers need to understand the drivers for Wi-Fi adoption and be able to position a solution that enhances the adoption of a BYOD strategy,” says Armstrong. Any conversation about wireless networking usually only lasts a few seconds before 802.11ac,the standard concerning gigabit speeds over Wi-Fi, is mentioned. Resellers will need to know about the new standard and be in a position to help customers make a transition from existing infrastructure. “802.11ac will become the predominant wireless technology and customers who realise this will want an upgradable product, or will delay their purchase,” says Steven Armstrong, channel manager at Xirrus Wireless. What will add to the demand for wireless is the forthcoming ratification of the new standard 802.11ac, which will provide those companies that have hesitated about adopting the technology because of the bandwidth experience with much less of an obstacle. The channel needs to be aware of the timing of the standard and prepare itself for the inevitable questions that it will provoke in customers. Ian Kilpatrick, chairman of distributor Wick Hill Group, says the new standard should provide an opportunity for resellers to have a conversation about strategy and to review the existing networking infrastructure. “Existing wireless has typically grown in an unplanned way from its beginnings as a guest service. Now, however, the new wireless standards and multi-gigabit per second throughput capabilities will lead the transformation from wired to wireless networks,” he says. “Numerous surveys have shown that the biggest impediment to wireless deployment is security concerns. The current unstoppable wave of mobility, while driving the need for wireless, will only further raise security as a key component of any solution. Wireless threats include rogue ccess points; man-in-the-middle attacks; Trojans on mobile devices; data interception from inside or outside the network; misconfigured access points; and fake SSIDs (network identifiers). The way to own the customer and maximise revenues is to deliver some of the solutions to these problems,” Kilpatrick adds. “While at the large enterprise level, some of the solutions are complex, with significant knowledge and skills required, it is very different for smaller enterprises, where there are a range of solutions that are easy to install and implement,” he says. Given the current technological landscape, it is perhaps little surprise that anyone selling wireless networking includes the cloud dimension. Scott Dobson, managing director of Cloud Distribution, says there is already a clear split in the market between traditional controller-based wireless solutions and the newer, cloud-managed options. “In the wireless space we are also beginning to see vendors offer controller-less cloud management solutions in various guises – such as cloud hosted, private cloud or on-premise – meaning resellers have a variety of options readily available to them,” he says. “However, the one piece of advice I’d give to resellers is to ensure that they keep abreast of all the latest technologies out there. It sounds obvious, but there are still a lot of resellers who are not aware of the new, innovative cloud-managed solutions on the market, any of which are less costly, less complex and more flexible than traditional controller-based solutions,” adds Dobson. “The cloud-managed option might not be right for all organisations, but for many it is the best and most cost-effective option. By not considering all options, resellers run the risk of pricing themselves out of a deal,” he says. One of the other key questions that resellers can ask their customers is what they want the technology to do for them. When it comes to hospitality and retail, the provision of Wi-Fi is seen as a customer service and can be used to improve satisfaction levels as well as helping with marketing. Dean Wilkinson, CEO of Airangel, knows all about supplying the hotel market with Wi-Fi and the need for 24/7 support, and has been building up the business on the retail side. With most mobile phone operators capping data usage, customers are only too happy to tick a few boxes to provide some marketing information if it means they can dip into Sky Go or BT Sports on the move and catch up with the football. Social media is now being widely used as a way for customers to log on too, and that provides retailers with a chance to gain additional information about their customers. “Wi-Fi becomes something they want to offer free so they can get to know the customer much better,” says Wilkinson. Another potential conversation resellers could have is to flip that coin and ask customers what they are doing about making sure that their staff are not running up large roaming bills hopping between Wi-Fi hotspots when on the road. Telecoms expense management is an additional service that ties in well with the strategic conversation about existing infrastructure and strategy that Kilpatrick recommends resellers have with customers. Ben Mendoza, CEO at MDSL, says far too many companies react after huge bills have been delivered rather than establishing policies and using technology to make sure staff use their freedom to connect remotely with due caution. For those resellers looking to make money out of wireless networking, there are several things that can be added to the pitch. The positive for the channel is that it encourages the customer to start asking the big questions about where the business is going and what the strategy is around the networking infrastructure. That should throw up not only the option to sell more networking, but also a chance to talk about security and the cloud. As is so often the case with a technology conversation, if handled well it will lead to a more strategic discussion – and if the reseller gets that right, the sale and a lasting relationship will be the result.